A taste of Buffalo. That was exactly what I was looking for when I planned a weekend city break to my hometown in Western New York. 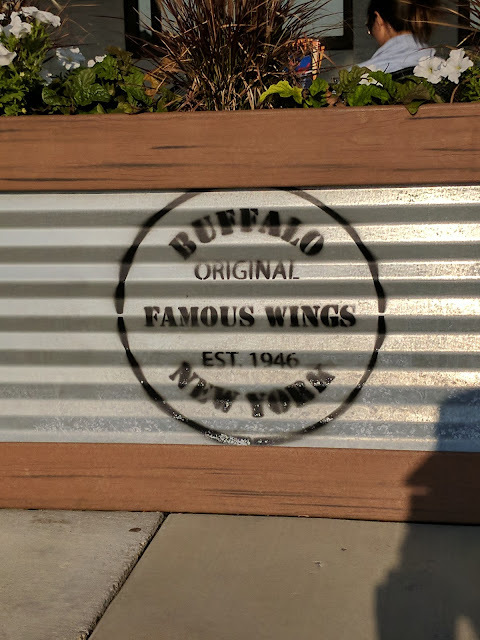 What kinds of food is Buffalo known for? Read on to learn more about the classic comfort foods of my childhood plus some adult takes on old favorite dishes. Want to know one of my favorite foods from Buffalo? Pancakes! I live in Dublin, Ireland now where pancakes = crepes. 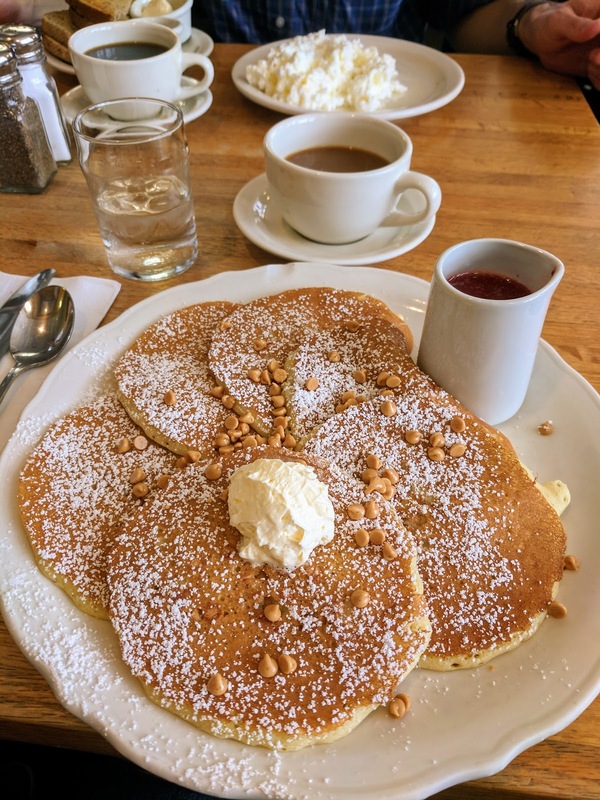 My first stop on my foodie weekend in Buffalo was to the Original Pancake House in Williamsville. I opted for a short stack of peanut butter pancakes with a strawberry sauce washed down with a bottomless cup of coffee. With a short stack this size, I decided to skip lunch and snack my way through the day. 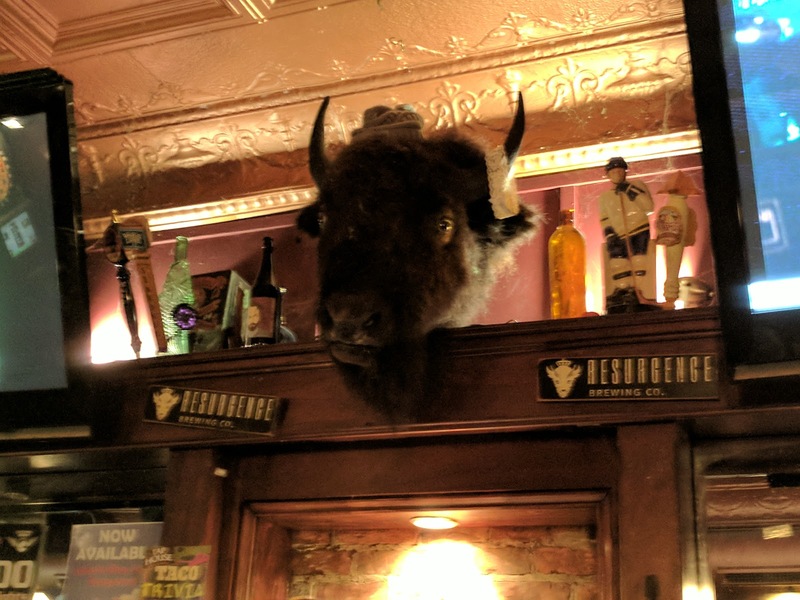 Want to know another thing that Buffalo is famous for? Sponge candy. Every time my family visits me in Ireland, they bring me a box of sponge candy. What is sponge candy? 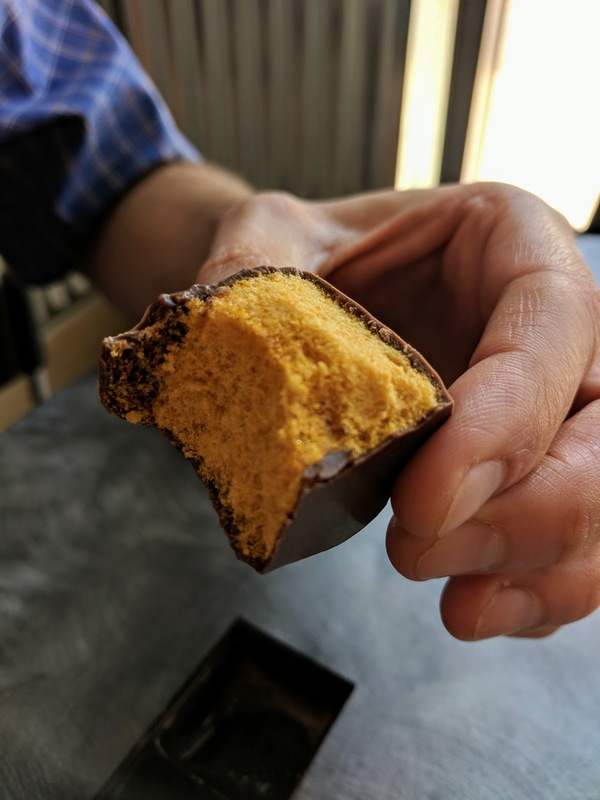 Sponge candy has an airy honeycomb center covered in either milk, dark, or orange chocolate. This famous Western New York treat is somewhat similar to honeycomb candy popular in the UK and Ireland but I like Buffalo's version better. 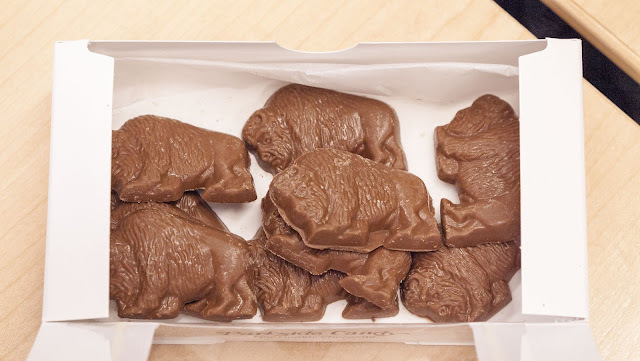 Buffalo's sponge candy is much less dense and melts in your mouth when you take a bite. Parkside Candy is an old-fashioned ice cream parlor and candy shop located in Buffalo's University Heights neighborhood. 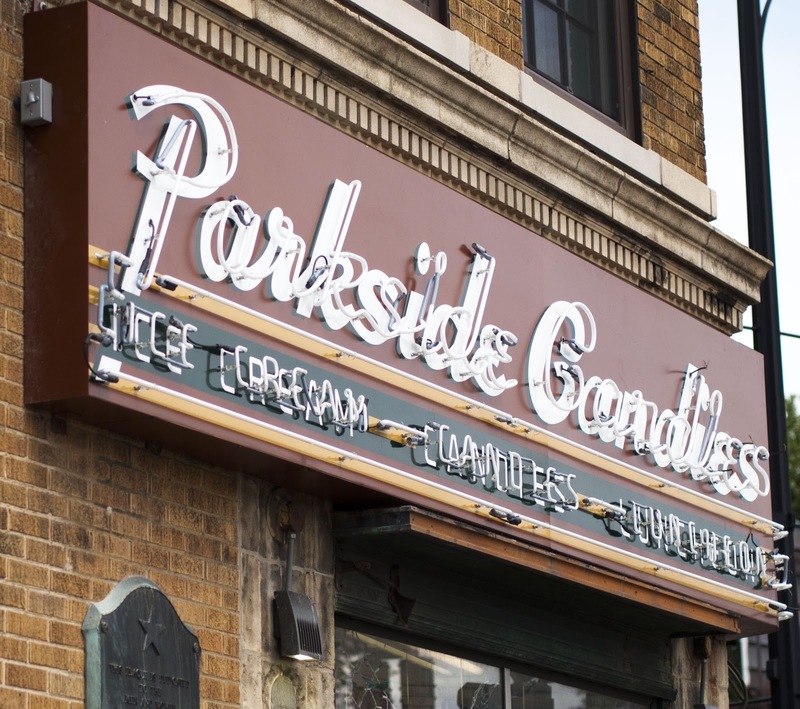 Parkside is another one of my go to places for my favorite things to eat in Buffalo (as you can probably tell, I have a sweet tooth). One thing that you should definitely eat on a trip to Western New York is orange chocolate. Bonus points if that orange chocolate is in the shape of a buffalo. Orange chocolate is simply milk chocolate with a delicate orange flavor. At this point, I was definitely looking for something savory. Beef on weck is another food that Buffalo is famous for. What the heck is weck? A weck roll is a crusty bun covered in salt and caraway seeds that pairs well with roast beef. Charlie the Butcher's in Cheektowaga made beef on weck famous in Western New York. 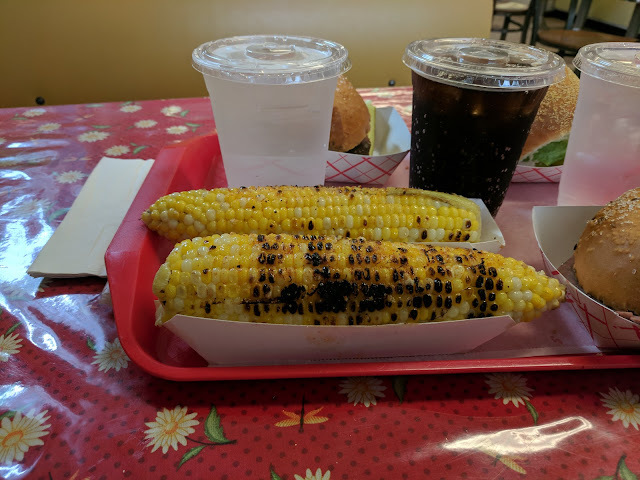 I paired my classic beef on weck with fresh grilled corn on the cob and a loganberry pop (pro tip: in Buffalo soft drinks are pop not soda). What's loganberry? It's a hybrid of a blackberry and a raspberry. 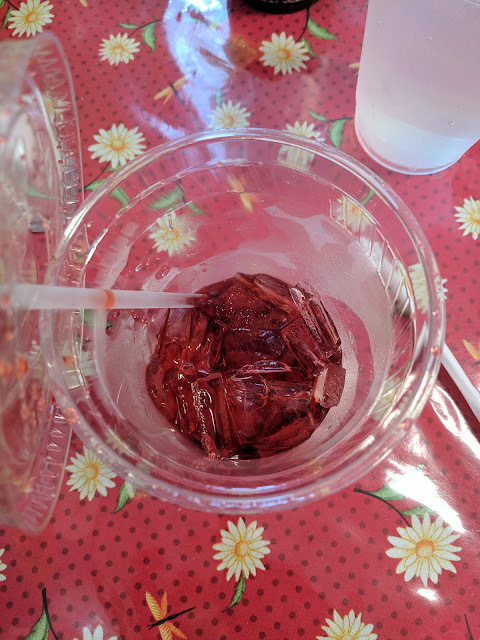 Buffalo is the only place in the world where I've seen the humble loganberry turned into a sweet non-carbonated soft drink. 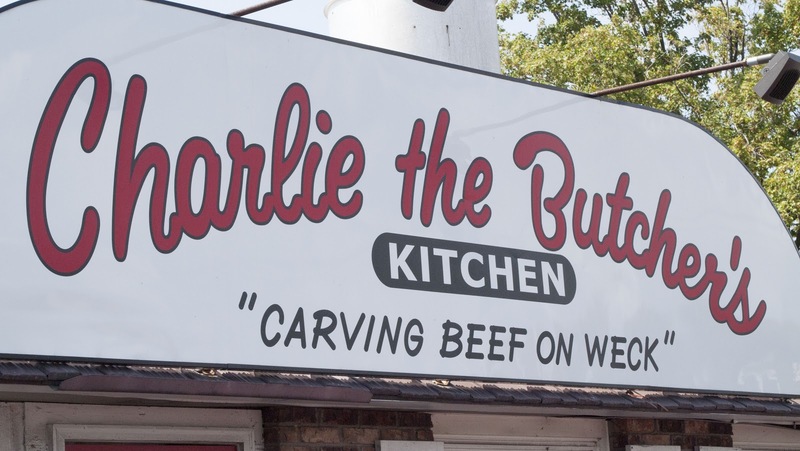 If you're looking for a true taste of Buffalo, this is it! It may be cliche, but the most famous thing to eat in Buffalo are chicken wings. While the Anchor Bar brought chicken wings international recognition, there are many more places in Buffalo to try that most quintessential of Buffalo's comfort foods. I'd never tried Duff's before but there are a number of locations around Buffalo so we decided to check one out. We stopped at the location in the Eastern Hills Mall in Clarence. As an added bonus, we were there on a Sunday and got to watch one of Buffalo's other passions: football. 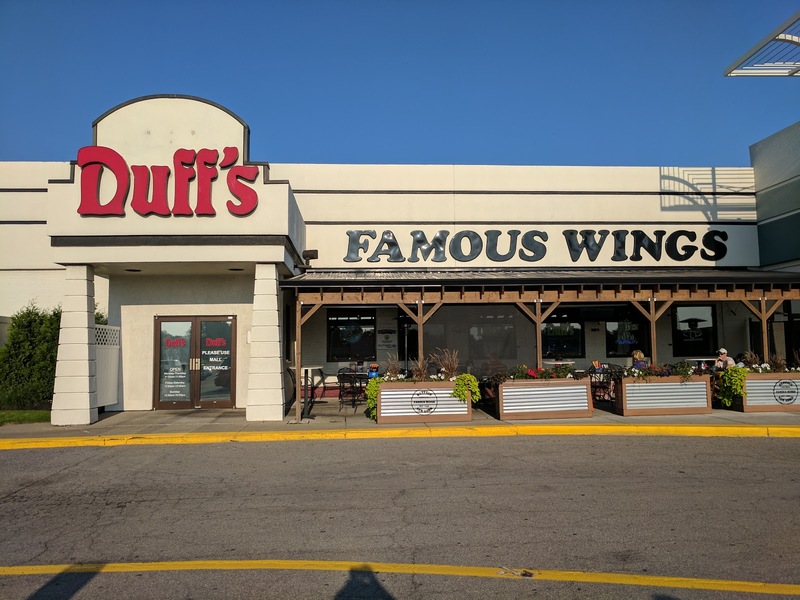 Beware: Duff's wings may blow your head off. 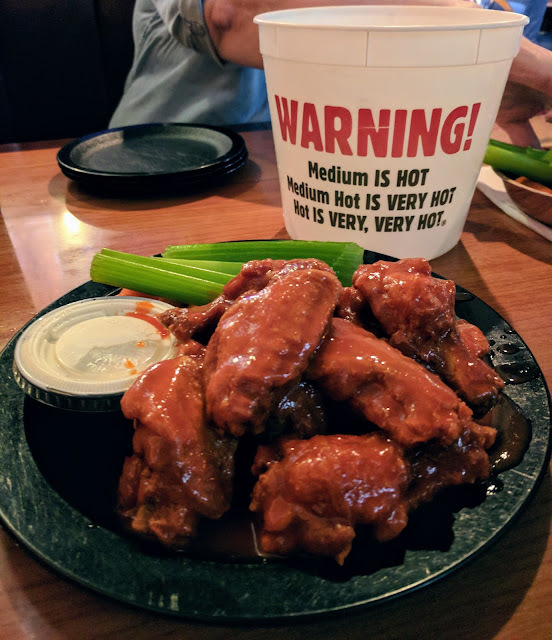 They quip that medium is hot, medium hot is very hot and hot is very, very hot. Order a bowl of 10 chicken wings smothered in a spicy, vinegary sauce and wash it all down with an ice cold beer. 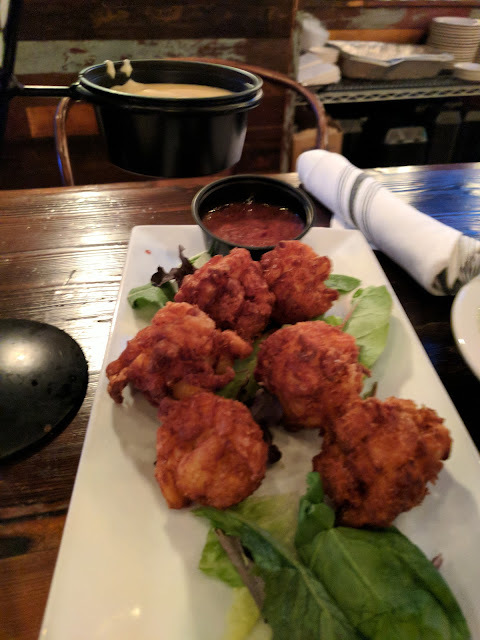 Chicken wings definitely top my list of savory bar snacks to eat in Buffalo. Buffalo has undergone a renaissance of late. More people are moving into the city to live and work, reversing, to an extent, the mass exodus to the suburbs that happened in the 1980s. 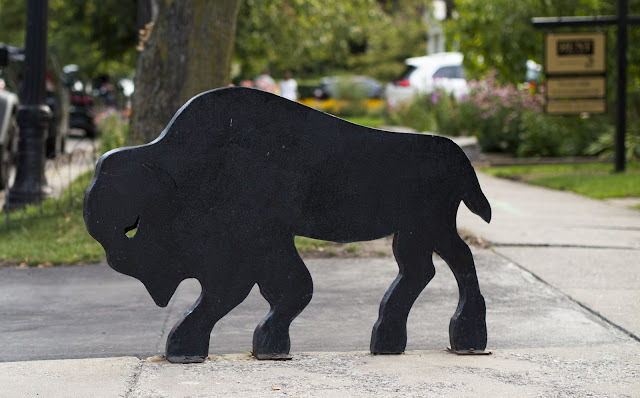 Elmwood Village is a neighborhood near downtown Buffalo characterized by old Victorian mansions. 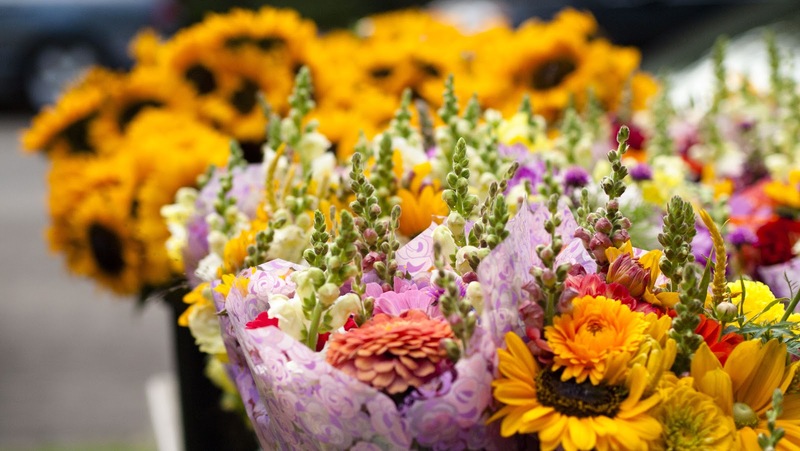 Elmwood Village now hosts a Saturday Farmer's Market. We browsed for some healthy fruit to counteract all the indulgent foods we'd been sampling thus far. Buffalo's Canalside is another area in Downtown Buffalo that has been completely redone. Stop for a beer at Liberty Hound. 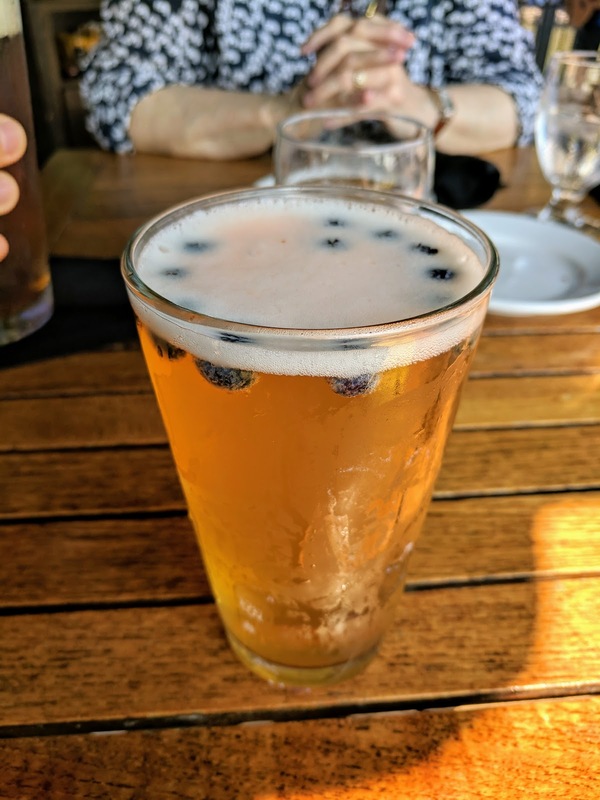 I tried Ellicottville Brewing Company's Blueberry Wheat. Buffalo was known for brewing a century ago which must have inspired the emerging craft beer scene in the area. I enjoyed sipping my beer outside with a cool summer breeze coming in off of Lake Erie and up the Buffalo River. Up until now, I've focused on the classic foods from Buffalo. The creative microbrew scene is proof that Buffalonians' palates are becoming more sophisticated. 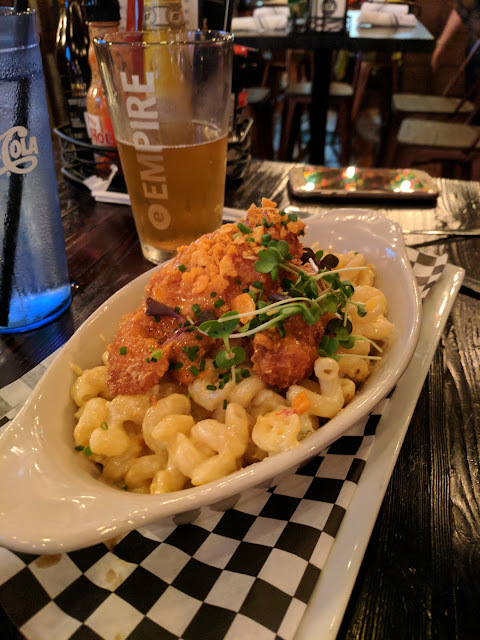 Local Kitchen and Beer Bar on Chippewa Street in Downtown Buffalo serves up modern takes on classic Buffalo comfort food. Local was by far the favorite restaurant that we discovered on our weekend city break in Buffalo. It was so good that we ate there twice! 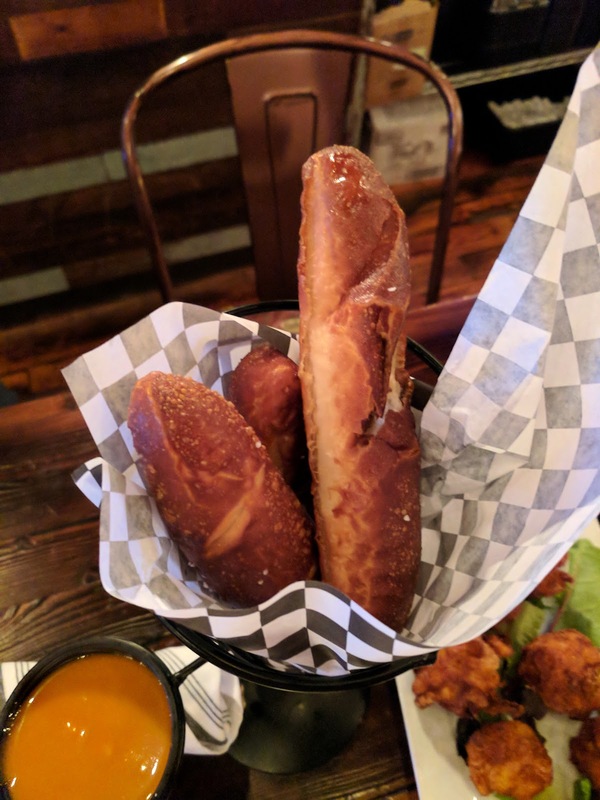 We tried flaky pretzel sticks with cheese sauce for dipping plus two types of macaroni and cheese (deep friend bites, and a baked casserole). My absolute favorite dish at Local had to be the pierogi. 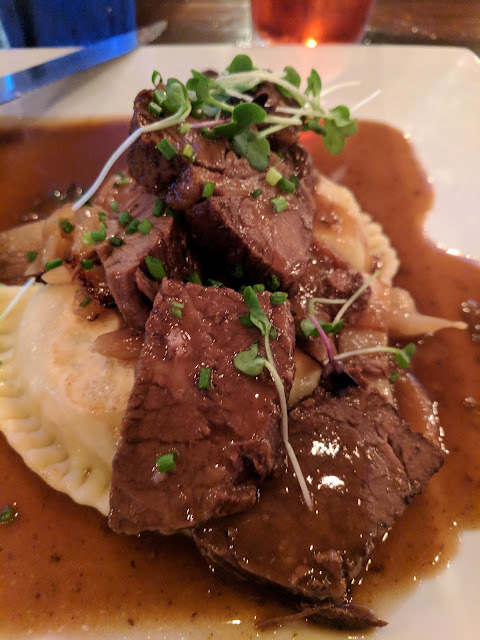 I sampled the Cheektowaga Polka, a pierogi with spare ribs and carmelized onions. When I was a kid, nobody went downtown and Chippewa Street was, shall we say, off limits. Now, Chippewa Street is safe with a vibrant restaurant, bar, and club scene spanning 3-4 city blocks. I'm so proud of Downtown Buffalo for finally turning things around! I left Buffalo before I turned 21 so never got to experience the local bar scene. Just across the street from Local, check out the craft beers on draft at the Tap House Pub and Grill. Tap stays open to the wee hours of the morning and is a great place for a nightcap in Downtown Buffalo. 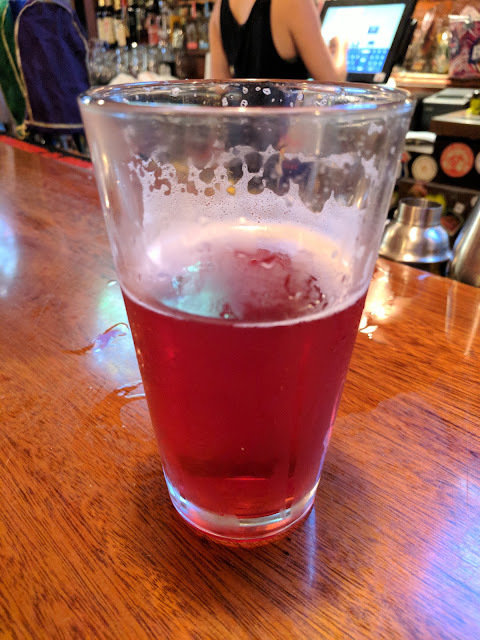 The Tap House Pub was offering an extra special taste of Buffalo when I visited: Deep Purple from Empire Brewing Company, a beer brewed with Concord Grapes. Concord grape is about as "Western New York" as it gets with Welch's calling Westfield New York home (read more about things to do in Westfield here). Definitely seek out things to eat in Buffalo using concord grapes as an ingredient. As you can see, I definitely ate all the things that Western New York is famous for and then some during my 2-days of food-filled fun in Buffalo. 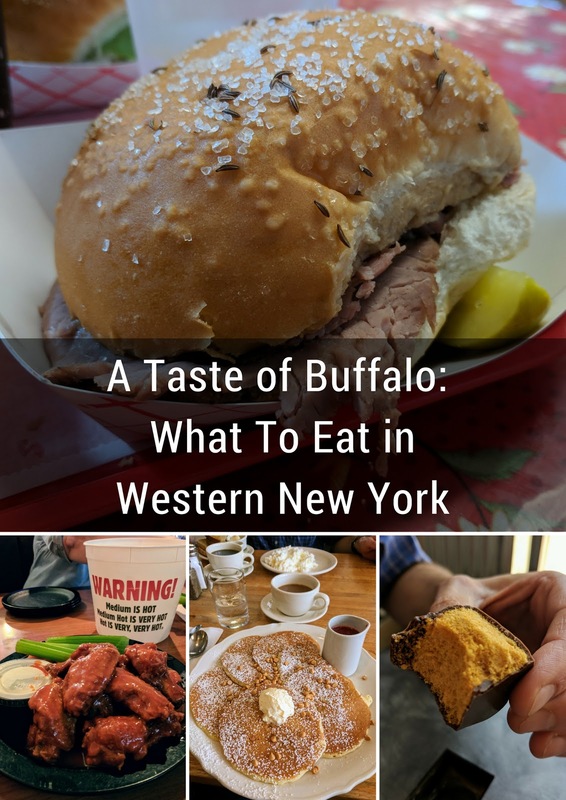 I had a great time eating the foods Buffalo was famous for when I was a kid plus the more refined flavors I can appreciate as an adult. Have you spent time in Buffalo? What foods and restaurants do you recommend? I'll add them to my wishlist for my next visit. If you are planning a trip to Western New York, in additional to seeking out great eats, you should consider taking an architecture walk in Downtown Buffalo or a Buffalo River Silo Cruise. Get a taste of Buffalo and spend an indulgent food-filled weekend in Western New York with a focus on old favorites plus modern takes on classic things to eat.